In a statement released on Monday, the Southern African Development Community (SADC) Chairperson, Namibian President Hage Geingob called for the unconditional lifting of sanctions imposed on the country. He said that NGOs and some internal groups wanted to destabilise the country with the support of external forces. 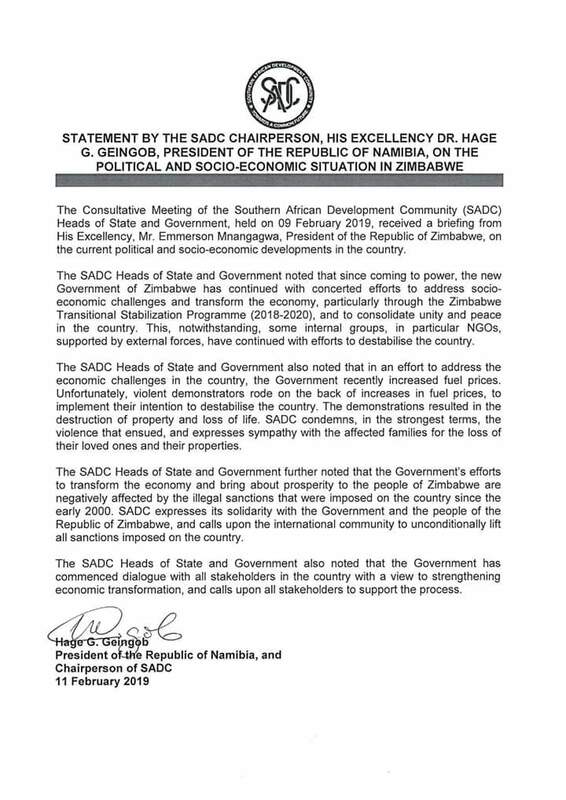 He added that SADC condemns in the strongest terms the violent demonstrations which occurred in the country in January. He reiterated his view that the protests were meant to destabilise the country.